In 1884, electrical engineer and inventor Thomas Parker began producing electric cars and trams in London, England. By 1900, 30% of cars were electric. Fast forward 20 years and electric vehicles (EV) had all but died out; Henry Ford’s reasonably priced internal combustion engine (ICE), widely available gasoline, and the patent of an electric starter motor, all contributing to their demise. Now, electric vehicles are making a comeback. In 2017, global sales of EVs rose to 1.1 million vehicles, according to Macquarie Research, and, somewhat ironically, many commentators are now predicting the imminent death of the ICE. Increasing activity aimed at improving air quality, and tightening legislation, are compelling OEMs to achieve higher requirements for economy and reduced emissions. Several governments have announced bans on the sale of new ICE vehicles — Norway commencing as early as 2025. Other leading nations including Germany, the Netherlands, and Ireland will follow suit five years later. There continues to be uncertainty around the scale and speed of this change and the impact it may have on the lubricant industry. Speaking at NLGI’s 85th Annual Meeting in June in Coeur d’Alene, Idaho, Dr. Gareth Fish, a technical fellow from the Lubrizol Corporation, says despite intensified efforts into the development of EVs “the reality for the next 20 plus years appears to be different from the headlines.” Some estimates suggest EVs will account for less than 30% of all vehicles sold per annum before the 2040 deadline, he says. Presenting “The Influence of Vehicle Electrification on Future Lubricating Greases,” Fish highlighted ongoing efforts to improve the efficiency of engines and drivetrains. All moving componentry on a typical automobile is now being scrutinized for friction and energy losses. Passenger cars and light trucks are major grease users, and a typical light vehicle may use up to 50 different greases to lubricate components. However, only a handful of these impact energy efficiency — such as drivetrain joints and bearings, front end accessory drive bearings, wheel bearings and steering mechanisms. The annual NLGI Grease Production Survey reported automotive grease production in 2016 at 470,000 metric tonnes, 45% was attributed to trucks and buses, 34% from cars and SUVs, with the remainder from agriculture or off-highway vehicles. Grease usage typically involves a combination of corrosive protection, lubrication, water resistance or anti-squeak properties. Advancements in electrification will, no doubt, alter demand for lubricating technology to address requirements of new transmissions and driveline components. But what does this really mean for greases? Should we expect wholesale changes to grease production once the electric revolution gathers momentum? However, Fish highlights two notable variances with HEVs — the starter motor and bearings on the electric drive motor. Starter motors will no longer necessitate extreme pressure or shock load resistance greases. In stopstart vehicles, the starter motor can be permanently engaged and act as a generator when not re-starting the engine. Transmission electric motor bearings may be grease lubricated or oil lubricated when incorporated in the gearbox or differential, says Fish. Looking further ahead, the primary drivers in grease development for most ICE and HEV applications will be durability and energy efficiency, he confirms. 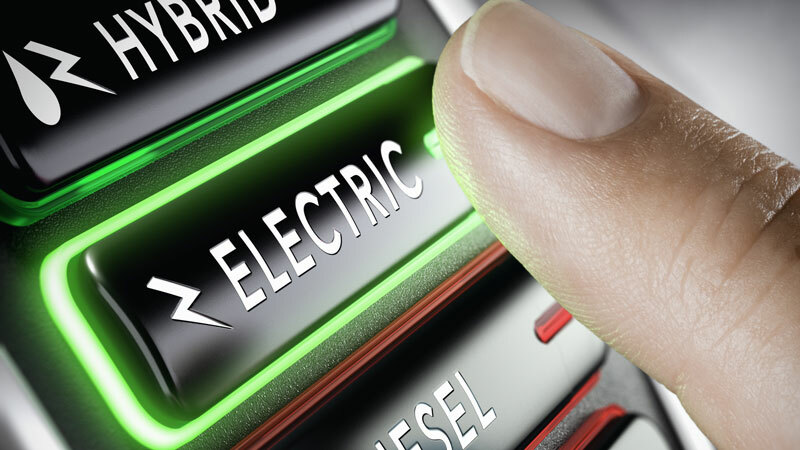 Not surprisingly, there are many “unknowns” regarding electric vehicles. What is clear, says Fish, is a likely requirement for higher performance greases that positively influence vehicle range. “Range anxiety” is the fear a vehicle has insufficient range to reach its destination, potentially stranding the occupants of the vehicle. Future EV grease applications will also need to be energy efficient, possess outstanding durability and long life, and must avoid stray currents that could cause electrically induced bearing damage. Conductivity, the degree to which a specified material conducts electricity, is a known issue. Bearing greases for the main electric drive motors will need to be low noise and prevent arc erosion of the bearing surfaces, says Fish, with all critical grease lubricated components likely requiring longer life, lower noise greases in the medium term. An upsurge in electric motors in all modern vehicles will impact grease volumes. A basic model vehicle may possess approximately 16 electric motors powering various functions. A modern, high-end vehicle, such as an Audi A6, could employ upwards of 40. Fish cites rumours of EVs with 80 electric motor-powered components — all requiring grease lubrication. Combined grease volumes could equate to approximately two kilograms per vehicle, and Lubrizol estimates 5,000 tonnes of grease could be required simply to lubricate electric motors in new vehicles each year. Greases for coolant pumps and motor bearings could also experience noteworthy change. Fish outlined a need for thermal fluid rather than anti-freeze, cooling circuits for the electric drive motors and temperature control circuits for the battery. Lubrizol’s Michael Gahagan, speaking at UNITI Mineral Oil Technology Congress 2018 on Lubricant Technology for Hybrid & Electric Vehicles says, “new fluids will better enable and protect future hardware in electrified drivelines,” and he concludes HEVs and EVs will evolve from leveraging existing driveline fluids. Gahagan cited multiple new fluid considerations including higher system voltages, the presence of more copper and power electronics, higher temperatures, new polymer materials, high speeds, alternative friction requirements, and a trend toward very low viscosity. Gahagan emphasized electrical conductivity and safety as a concern, and the current focus of some OEMs and tier suppliers. If conductivity is too high it can cause the leakage of current and short-circuits. Too low, can result in damage due to the build-up of static charge and arcing. Conductivity is a grease property — with Lubrizol’s testing suggesting oils susceptible to oxidation are potentially problematic. Gahagan also suggests new methods are required to protect wires, sensors, and circuits from corrosion. Thermal transfer and material compatibility are also key fluid aspects, he says. New characteristics of a dedicated lubricant would include appropriate electrical properties, assured corrosion protection, sufficient thermal transfer characteristics, compatibility with polymeric materials, oxidation and sludge control, and high-speed bearing protection.